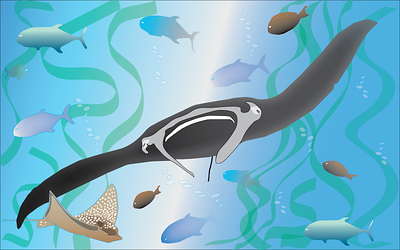 This gallery is a portfolio of my most recent graphic illustrations. All images were created using Adobe Illustrator 2019. 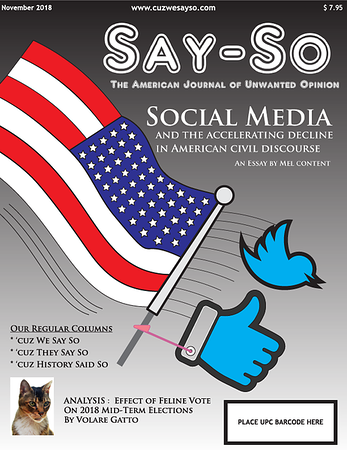 This is a layout of an issue of a fictional magazine cover. it was constructed with 8 bit, CMYK color with the assumption it would be used for print publication. This image is the back side of a golf scorecard for a local fictional golf club. LEFT SECTION ... "Local Rules" There really are not any. I just googled "golf jokes" and pasted in whatever I found interesting as text filler. 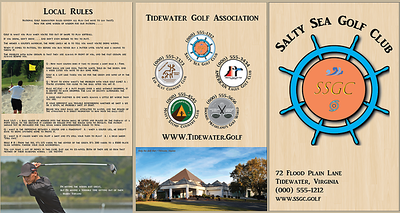 CENTER SECTION ... "The Tidewater Golf Association" .... The Salty Sea Golf Club is one member of a local five course consortium who have banded together to offer memberships for discounted play and other perks. RIGHT SECTION ... "The Salty Sea Golf Club" ... The club's logo enlarged with clubhouse contact information. I photographed and processed each of the three digital images on the card for use in the project. Proof of course completion for "Draw Better and Faster with IllustratorCC" from Lynda.com. 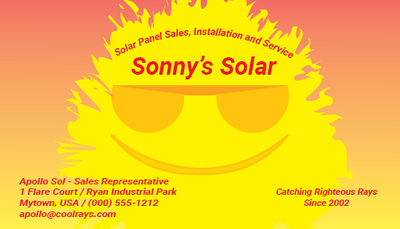 This is the front side of a business card designed for a fictional renewable energy collection service. This side includes the logo, company slogan and personal contact information. 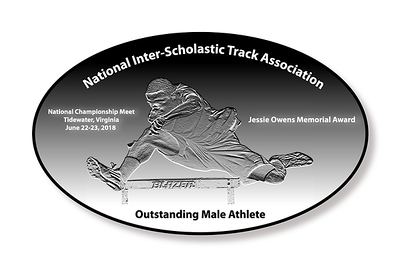 This is a design of a fictional award given out by fictional athletic organization at a fictional national athletic event. The design was intended to be used as a plaque or a plate rather than a medal. The image of the athlete was taken from my personal stock and processed in Adobe Photoshop using the "Bas Relief" effect. 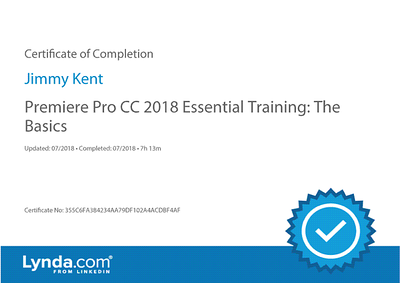 Proof of course completion for "Premiere Pro CC 2018 Essential Training - The Basics" from Lynda.com. 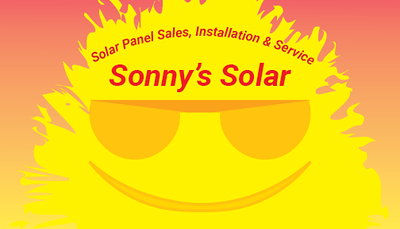 This is the back side of a business card designed for a fictional renewable energy collection service. This side includes a slightly enlarged version of the company logo only. 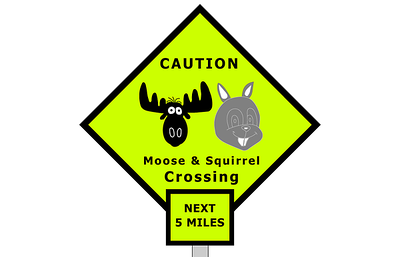 Mythical road sign outside the town of Frostbite Falls MN (.... homage for all you Rocky & Bullwinkle fans). 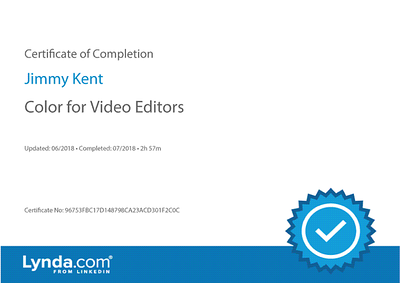 Proof of course completion for "Color for Video Editors" from Lynda.com. This is a sketch of an aquarium scene. Proof of course completion for "Adobe Illustrator CC 2018 One on One Fundamentals" from Lynda.com. This image is the front side of a golf scorecard for a local fictional golf club. 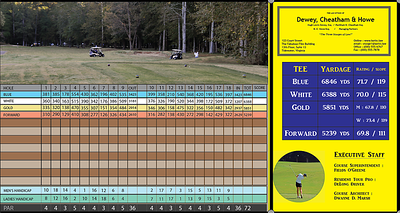 LEFT SIDE .... "The Scorecard" The basic grid that lists yardages, handicaps and strokes to par for each hole. RIGHT TOP .... "Our Sponsor" A fictional law firm that put up the cash so thousands of these cards can be printed out each season. RIGHT CENTER .... The course ratings from the National Golf Association that are used to calculate handicaps. RIGHT BOTTOM .... "Staff" I photographed and processed both of the digital images used on this page. Proof of course completion for "Learning the Adobe Pen Tool" from Lynda.com.